Natural Resources encompasses the study of the management, improvement, and conservation practices of ecosystems, agroecosystems, soil, water, air, wildlife, wetlands, and forests. Industry partners have identified the industry readiness indicators that are measured on the Natural Resources certification exam. Based on the industry needs and assessment of each indicator, the number of exam items per area have been determined and are noted on the exam guide. Additionally, where applicable, the industry readiness indicators have been correlated with current educational frameworks. Exams are delivered online and must be administered by an approved AEST proctor. Candidates have a two-hour window during a single session to complete the exam. Exams are 100 questions in length and include multiple choice options for all items. Candidates are required to achieve a passing score on the exam to earn certification. Reduced price retake exams are available to candidates who do not meet the minimum passing score on the initial attempt. The exam guide is designed to assist candidates to prepare to sit for the Natural Resources certification exam. It includes information about the exam, exam objectives, recommended references and sample items – all with the intent of helping candidates achieve a passing score. AEST recommends a combination of classroom instruction and self-study to maximize a candidate’s chance of earning industry certification. 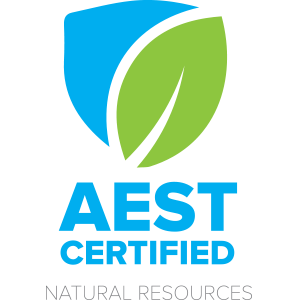 References and secondary resources posted on AEST’s website are available for candidates to use to prepare to sit for the Natural Resources industry certification exam, though other resources may be used to effectively prepare as well.